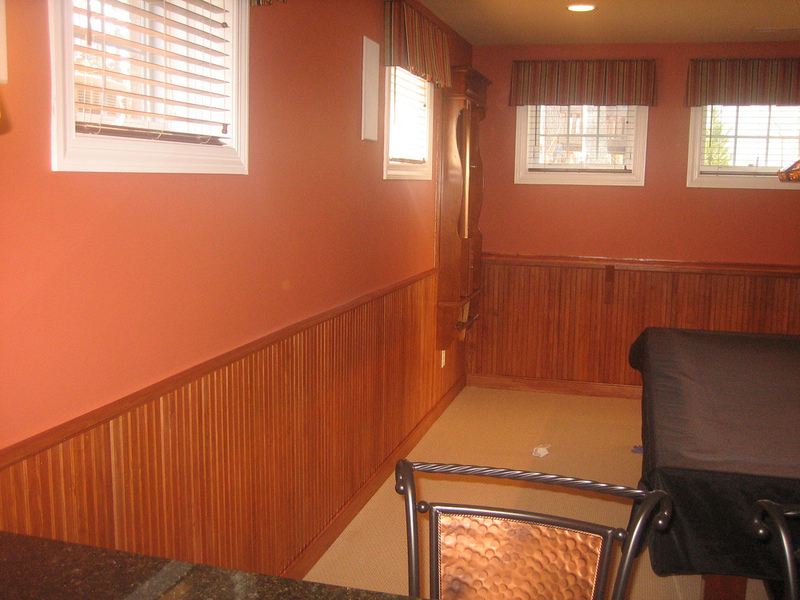 Wainscoting removal is usually an option when remaking a space. It actually dates way back to the 1300s. Then it was used by the Dutch to serve as a protective shield on the bottom portion of plastered walls. Fast forward to the present and you’ll find wainscoting still quite prevalent in residential applications. It’s a common aesthetic or decorative material. Typically, it’s used to give a room a certain look. Cut through the caulk. Typically, wainscoting is nailed to the wall. But, it’s also caulked at the top to prevent moisture from seeping behind and causing discoloration and buckling. Slice through the caulk along the top of the material. Find the studs. Next, you’ll locate the wall studs with a stud finder, if the nail heads aren’t visible. Use the pencil to mark the locations of the studs. Then, you can find all the nails that run vertically into the studs to pull them out. Remove the railing. After the caulk is cut and the nails are removed, you’ll probably have to pull the railing from the wall. Some wainscoting materials use a combination of railing and panels. Detach the baseboards. The baseboards are also usually separate from the railing and panels. Use a pry bar or claw hammer to pull up the baseboards. Do this carefully so you don’t damage the wall and/or floor. Pull the panels off. Finally, remove the panels from the wall. Do this as gently as possible because as the panels are pulled away from the wall, it can cause damage to the drywall.